Redefining oneself and finding a new purpose in life is what Malcolm X is all about. At the beginning of his journey, he is Malcolm Little, a flamboyant black man who defines himself by how whites see him. Success for him is the white definition of success: access to money, women, and material things. But life deals him a curve when he is sent to prison for ten years for larceny and breaking and entering. There he meets Baines, a member of the Nation of Islam, who exposes him to the teachings of Elijah Muhammed, the founder and leader of the Nation of Islam, which fosters the notion of black supremacy. Slowly, Malcolm becomes attracted to Muhammed’s world view and he converts to Islam, believing that it is only through belief in Allah that his personal redemption can come. 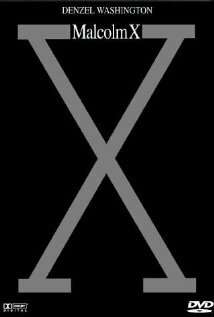 When he is paroled after six years, he travels to the Nation’s headquarters in Chicago where he changes his last name from Little, a name given to his family by white slave owners, to X, a symbol of his lost African heritage. He then dedicates his life to improving the lives of other blacks by insisting that they take pride in their unique ancestral history. This is his new purpose in life. Judaism is replete with examples of people who find a new purpose in life and shed their past identities. Joseph redefines himself as viceroy of Egypt after being incarcerated for many years. The Jewish people in a forty year span of wandering in the wilderness shirk their old slave mentality and become exemplars of free men living under God’s law. They exchange the false deities of Egypt for the true Kingship of the One God. In the Talmud, the great sage Resh Lakish finds a new purpose in his life when he decides to abandon his life of banditry and devote his life to the study of Torah. The sage Rabbi Akiva leaves the idyllic life of the shepherd and dedicates himself at age 40 to the full-time pursuit of Torah study. These are the role models that set the tone for all of us. There is a custom every year on the eve of the Jewish New Year and Yom Kippur for men to visit the ritual bath and immerse themselves to prepare emotionally for the sublime Day of Atonement. One of the Sages states that the water of the ritual bath is a metaphor for the fluid of the amniotic sac from which emerges new life, new potential. Therefore, when someone steps out of the ritual bath, he symbolically emerges as a newly created man with a new destiny. Malcolm X reminds us that no matter what our past, we still have the ability to change our futures and to find a new purpose for living. Purchase this movie on Amazon.com.